It is that time of year again! Time for our annual fall camping trip to the “Apples.” Every year we pack up and head to visit the apple orchards in Oak Glen, CA and to camp for the weekend with the whole family; Aunts, Uncles, Cousins, Grandma’s, Grandpa’s, the whole works. We camp, but in semi-luxury, we camp RV style (which in my opinion is the only way to camp!). 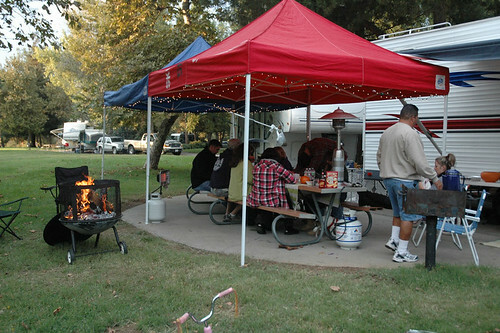 This year there were 5 RV’s full of our family at 3 different campsites. We brought lots and lots of yummy food and we had a wonderful time. The weather was rainy and cold this year, but we managed to keep warm next to a big campfire. 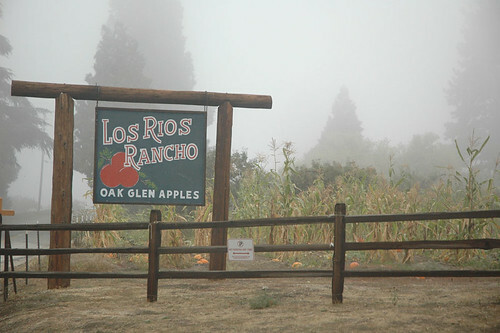 There are many orchards to visit in Oak Glen, but we have our favorites and one of them is Los Rios Rancho. Chris’ family has been coming to this orchard since Chris was just a baby and we have gone almost every year since we have been married. This is where we like to buy apples, caramel apples, and apple cider and they always have a pumpkin patch for fun photo opportunities. This year it was very cold, so I didn’t get many photos of my babies in the pumpkins. 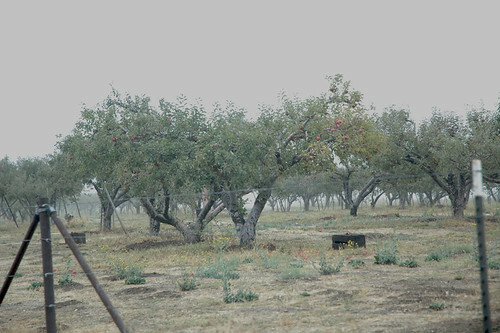 One of our other favorite orchards is Snowline (I have to say that I think this is my personal favorite, you will soon see why :)). They have pick your own raspberries, and every year I have wanted to do this and the season is usually done by the time we get up there. This year however, they were still allowing picking. 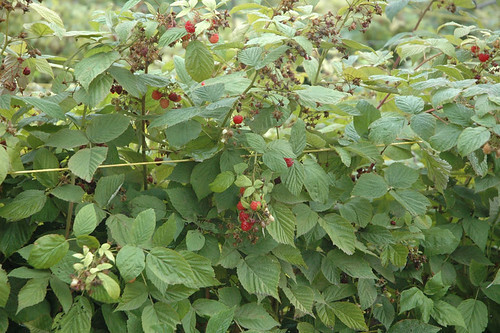 I so wanted to pick, but it was freezing when we stopped at this orchard and it had just rained for about 3 days, so I figured it wasn’t worth trudging around in the wet plants trying to pick what is left of the raspberry crop. Oh well, there is always next year. 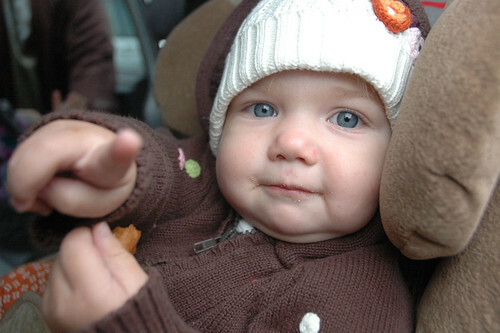 Well, she must take after her mommy, because she couldn’t get enough of them. 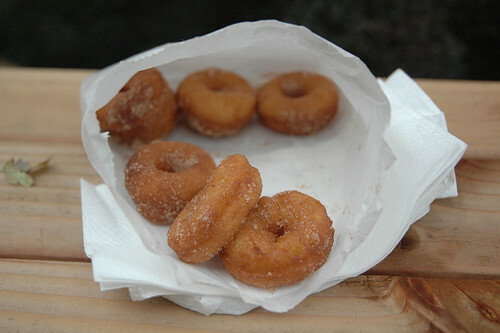 Just look at that adorable cinnamon and sugar face! If there is one thing our family knows how to do well, it is eat! We had every meal planned out and all we did was eat! 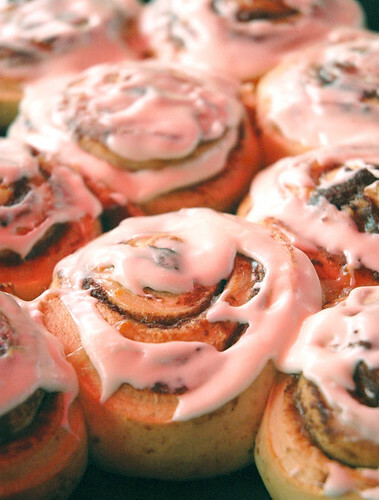 Breakfast, lunch and dinner were huge spreads of wonderful food, like these super tasty cinnamon rolls that Auntie Cil made. We probably all gained 5 pounds this last weekend. I baked lots of yummy goodies to take with us and I will be sharing some of the recipes with you very soon. There is nothing better than spending time with family in the great out doors playing games, eating fabulous food and just enjoying fellowship with each other. It truly was a wonderful weekend, and I am already counting down until next year!